Hi loves, welcome back to my blog! 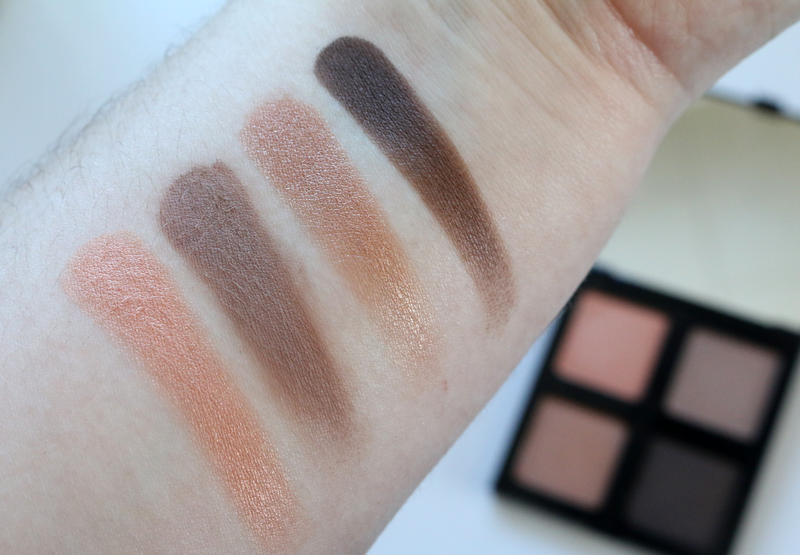 I am seriously so excited to share with you these eyeshadow quads by The Body Shop. They are called the Down To Earth quad's. I never tried any makeup before by The Body Shop so I was super excited to see that they sent me some of their quad's to review! They currently have 5 different quad's you can choose from, and today I will be sharing with you three of them. 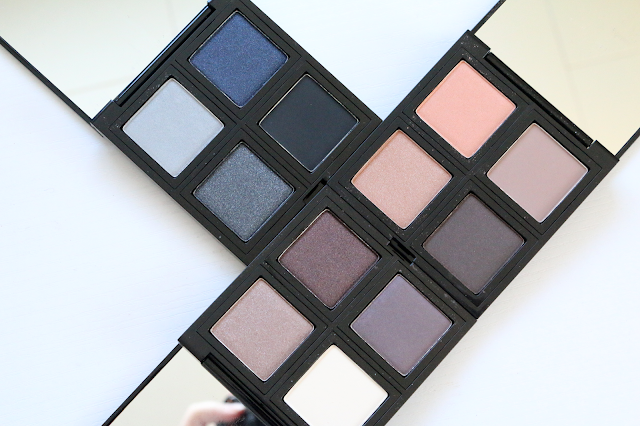 Down To Earth Quad in Black- this palette features 4 neutral shades which were inspired by nature. The first shade in the quad is Scandinavian Steel which is a beautiful silver. I seriously love this shade for all over the lid. Next is California Lapis which is a beautiful deep shimmery blue. Next is Australia Quartz which is a beautiful deep black with silver shimmer and lastly is Black Canon Onyx which is a matte black. 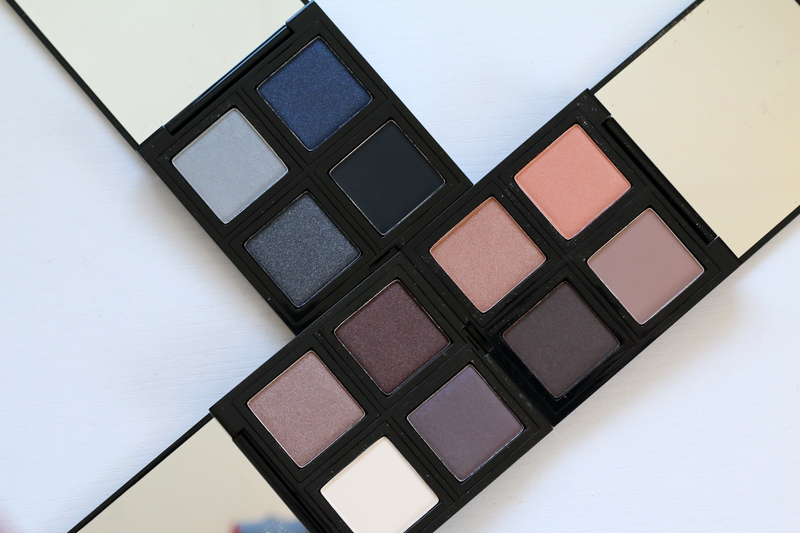 I really enjoy this palette and love how pigmented all the shades were. The black was a little chalky, but it blends on super easy. Down To Earth Quad in Plum- this palette is my favorite of the three. 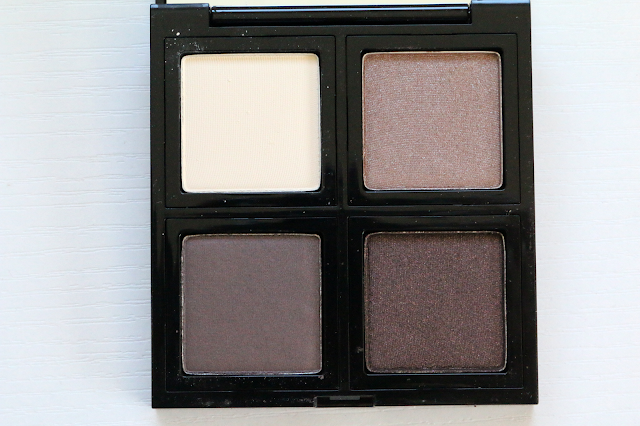 The shades are stunning and perfect for everyday looks. The first shade in the palette is Attica Marble which is a matte cream shade. 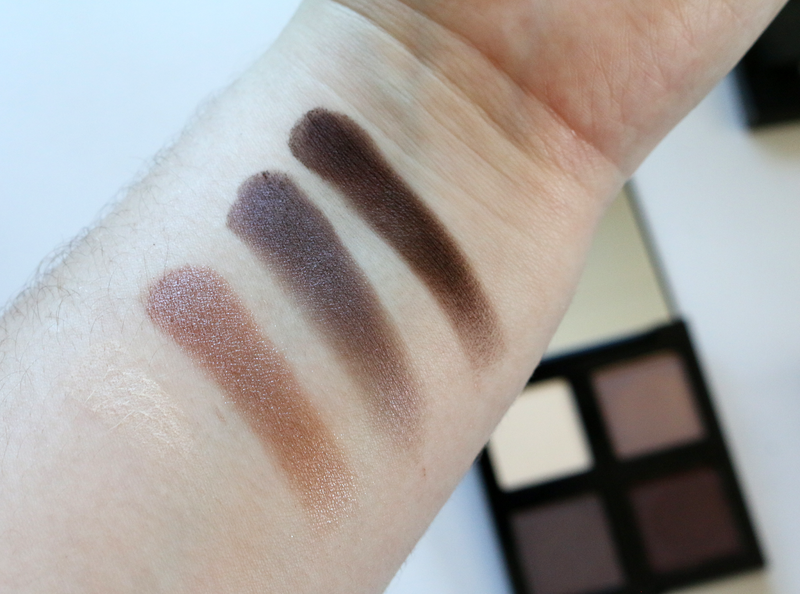 In the swatch, it was hard to show the color since it almost matches my skin tone. But it is a great highlight color for the brow bone and inner corner. Next is Petra Sandstone which is a beautiful shimmery taupe. Next is Penrhyn Slate which is a pretty purple taupe shade with shimmer. And lastly is Bengal Granite which is a deep plum brown shade. Down To Earth Quad in Brown- this palette is my second favorite because of course it has pretty brown shades. 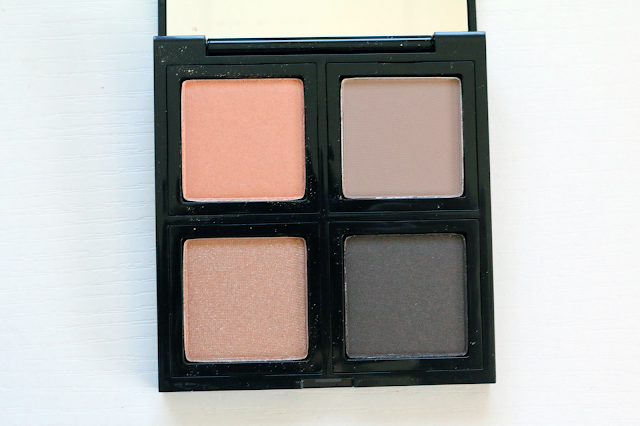 The first shade in the palette is Oregon Sunstone which is a beautiful peach color. Next is Peru Clay which is a beautiful taupe brown shade which is a perfect transition color. Next is Sienna Dust which is my favorite shade in the quad. Is a beautiful cool toned brown with shimmer. Lastly is Idaho Jasper which is a pretty rich brown. I found all of the shades super pigmented and all had such a nice buttery texture. A cool thing about these quads is that you can remove each shadow and create your own quad. 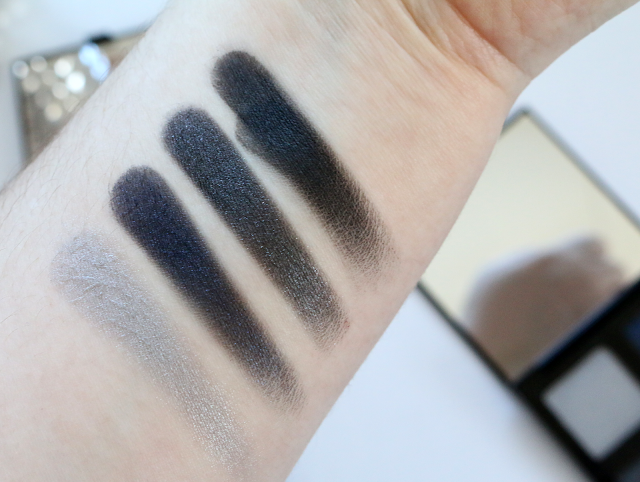 And all of the shadows can be used wet or dry. I am seriously in love and will need to go out and purchase the other two quads that they have. Each quad retails for $24.00 and can be purchased at www.thebodyshop-usa.com.